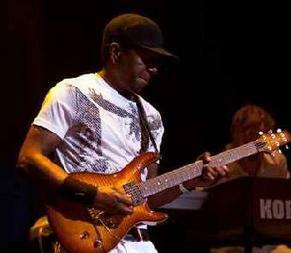 Award winning guitarist Kenya (Eric V.) Baker has been a touring musician for much of his career. 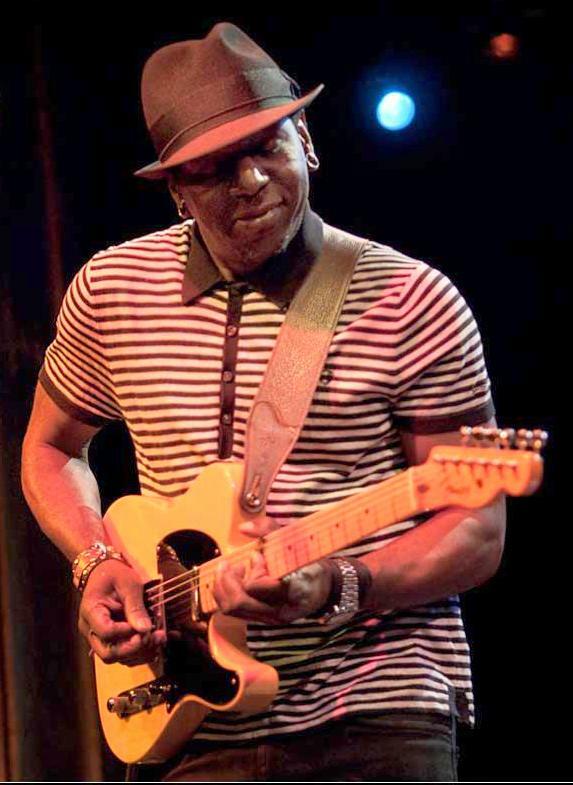 He was lead guitarist for British singer/songwriter and Grammy Award winner Joss Stone from 2006-2010, touring internationally and playing for dignitaries including President Clinton and the British Royal Family. One highlight was playing for the Princess Diana Memorial Concert at Wembley Stadium, which was attended by more than 63,000 people and broadcast worldwide. (You can see video of this performance on the “Tour Video” page.) After the concert, Kenya had the privilege of meeting Prince William and Prince Harry. Kenya grew up in Oakland CA and began playing guitar at age 7. As a youngster, he played for services in his father’s church. At 16, after playing on the local gospel quartet scene, he got his first gig touring throughout the US with a well-known gospel group, the East St. Louis Gospelettes. At 19, Kenya became immersed in the Oakland R&B and Blues scene and was part of that scene in its heyday. 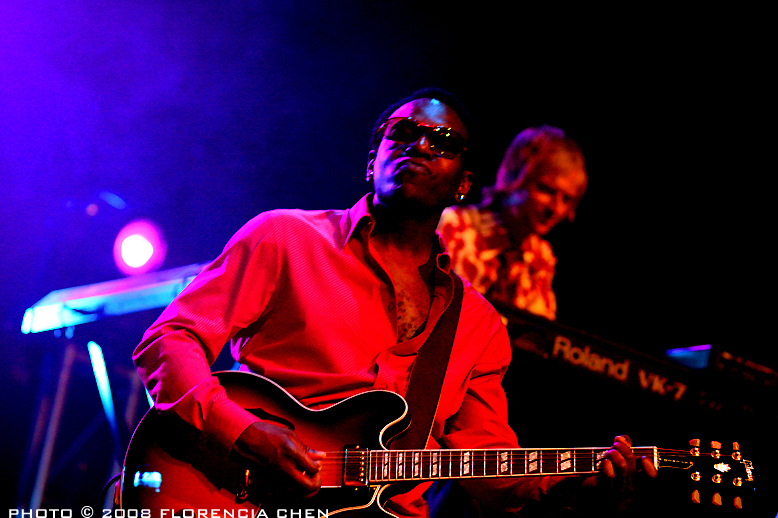 During that time, he was playing with some of the most sought after R&B musicians in the industry. These were the musicians who played with artists that put Oakland on the map, including Sly Stone, Larry Graham, Frankie Beverly and Maze, The Whispers, Tony!Toni!Tone! and many more. Next, Kenya began a career in music production. A multi-talented musician, composer and producer, he placed a number of songs with artists including New Edition, Somethin’ for the People and MJG & Eightball. Among his most notable achievements are: production and vocals on his original song "Top of the World" featured on the "Menace II Society" soundtrack (under the name Kenya Gruv), for which he earned a gold album; his work on Tony!Toni!Tone! 's "The Revival," for which he earned a platinum album; and his work on Tupac's "So Many Tears." For the next several years, Kenya was involved mainly in production. Beginning in the early 1990's and continuing into the next decade, he toured with Tony!Toni!Tone!, Lucy Pearl, Digital Underground and others. 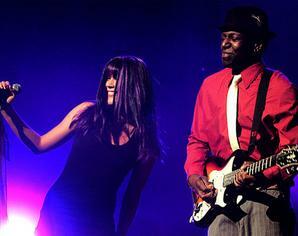 From 2006 to 2010 Kenya wrote songs and toured internationally with Joss Stone. With Joss Stone's band, Kenya appeared on Jimmy Kimmel Live, played for Lee Ann Rimes, and played for many celebrities including Steve Martin, Bernie Mac, and Rickey Lee Jones. In 2011, Kenya had a major change occur in his life. He gained custody of his two sons and could no longer tour. He took an interest in zydeco music and played with a Bay Area band. Then in 2012, he developed his solo “acoustic” show to perform locally at wineries, restaurants and lounges so he could be home with his children. He produced his own tracks and arrangements of his favorite songs from various genres. These songs have one thing in common – they all have beautiful melodies. His solo show has taken off and is very popular with many venues around the Bay Area. Kenya is amazed and grateful that his audiences have responded so well and that people of all backgrounds appreciate the songs he loves. 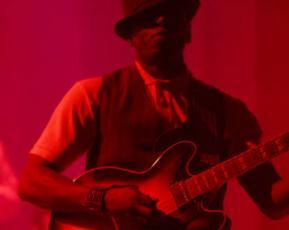 Local musicians recognize Kenya’s talent and he is a sought-after musician for hire. Since 2012, Kenya's played with well-known artists including: saxophonist Kim Waters at an event for Quincy Jones in Sacramento; rapper Too Short; R&B singers Ms Monet, KeShay and K’Jon; up-and-coming indie band Shawn Brown and 9th Street; blues artists Lara Price, Paula Harris, Lady Bianca, and others. A talented music director, Kenya also assembles larger bands under the umbrella "The Kenya B Experience". The concept behind “The Kenya B Experience” is simple: to bring the best local musicians together, playing the best music, to meet the client’s needs. The “Experience” can be as small as a 4-piece, or as big as a 9-piece show band. For the 2013 San Pablo July 4th Celebration, he brought his STAX Records review show, featuring three vocalists and a horn section in the 9-piece band, and garnered rave reviews. Kenya continues to do session work, playing the guitar, bass and drums, as well as music production and playing lead guitar with other artists. Now, with his solo show and his band, Kenya is living his passion creating great music and is especially at home playing for live audiences. Watch this video to get to know Kenya.